Michelangelo Pistoletto began to exhibit his work in 1955 and in 1960 he had his first solo show at Galleria Galatea in Turin. An inquiry into self-portraiture characterizes his early work. In the two-year period 1961-1962 made the first Mirror Paintings, which directly include the viewer and real time in the work, and open up perspective, reversing the Renaissance perspective that had been closed by the twentieth-century avant-gardes. 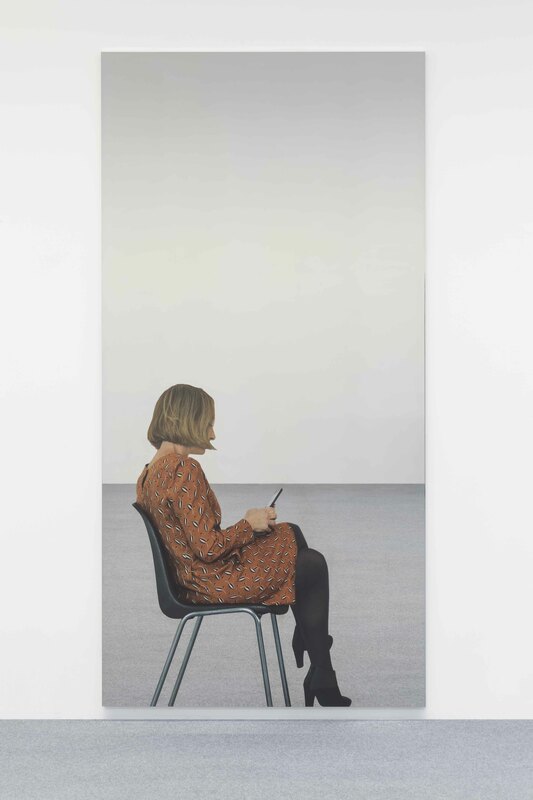 These works quickly brought Pistoletto international acclaim, leading, in the sixties, to one-man shows in important galleries and museums in Europe and the United States. The Mirror Paintings are the foundation of his subsequent artistic output and theoretical thought. In 1965 and 1966 he produced a set of works entitled Minus Objects, considered fundamental to the birth of Arte Povera, an art movement of which Pistoletto was an animating force and a protagonist. In 1967 he began to work outside traditional exhibition spaces, with the first instances of that “creative collaboration” he developed over the following decades by bringing together artists from different disciplines and diverse sectors of society. In 1975-76 he presented a cycle of twelve consecutive exhibitions, Le Stanze, at the same gallery in Turin. This was the first of a series of complex, year-long works called “time continents”. Others are White Year (1989) and Happy Turtle (1992). In 1978, in a show in Turin, Pistoletto defined two main directions his future artwork would take: Division and Multiplication of the Mirror and Art Takes On Religion. 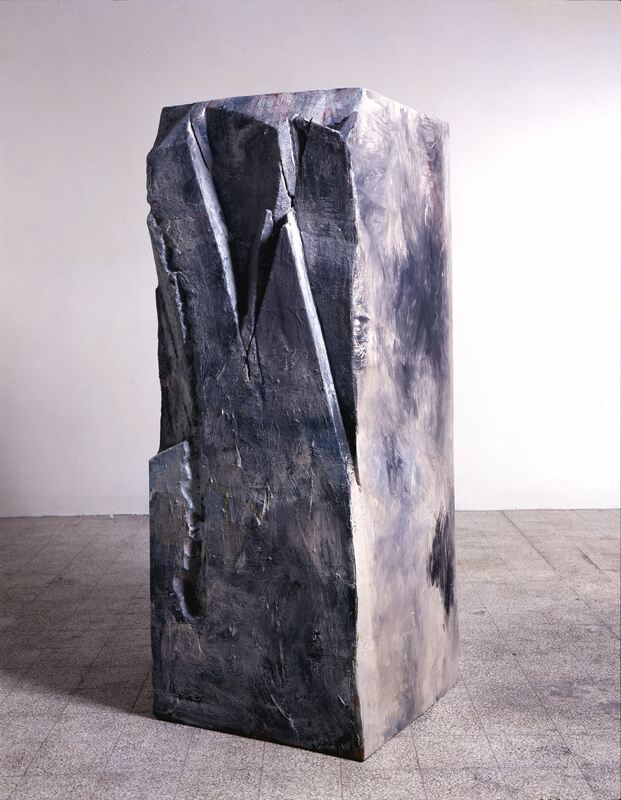 In the early eighties he made a series of sculptures in rigid polyurethane, translated into marble for his solo show in 1984 at Forte di Belvedere in Florence. From 1985 to 1989 he created the series of “dark” volumes called Art of Squalor. During the nineties, with Project Art and with the creation in Biella of Cittadellarte – Fondazione Pistoletto and the University of Ideas, he brought art into active relation with diverse spheres of society with the aim of inspiring and producing responsible social change. In 2003 he won the Venice Biennale’s Golden Lion for Lifelong Achievement. In 2004 the University of Turin awarded him a laurea honoris causa in Political Science. On that occasion the artist announced what has become the most recent phase of his work, Third Paradise. In 2007, in Jerusalem, he received the Wolf Foundation Prize in the Arts, “for his constantly inventive career as an artist, educator and activist whose restless intelligence has created prescient forms of art that contribute to fresh understanding of the world.” He is the Artistic Director of Evento 2011 – L’art pour une ré-évolution urbaine in Bordeaux. In 2010 he wrote the essay The Third Paradise, published in Italian, English, French and German. In 2011 he was the artistic director of Evento 2011 – L’art pour une ré-évolution urbaine in Bordeaux. In 2012 he started promoting the Rebirth-day, first worldwide day of rebirth, celebrated every year on 21st December with initiatives taking place all around the world. In 2013 the Louvre in Paris hosted his personal exhibition Michelangelo Pistoletto, année un – le paradis sur terre. In this same year he received the Praemium Imperiale for painting, in Tokyo. In 2014 the symbol of the Third Paradise was installed in the hall of the headquarters of the Council of the European Union in Bruxelles for the period of the Italian Presidency of the European Council. In May 2015 he received a degree honoris causa from the Universidad de las Artes of Havana in Cuba”. In the same year he realizes a work of big dimensions, called Rebirth, situated in the park of the Palais des Nations in Geneva, headquarters of the UN. Palermo, Palazzo Sant’Elia, 15 February – 31 December, “Michelangelo Pistoletto. Love Difference”. 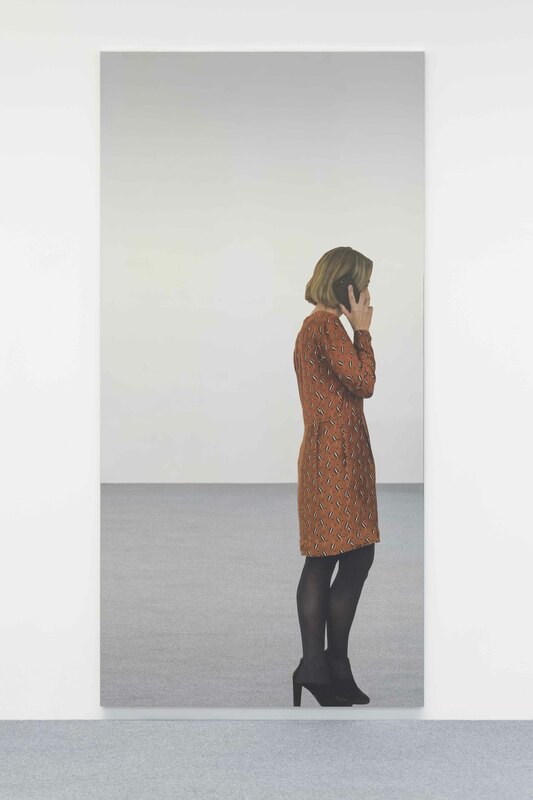 London, Simon Lee Gallery, 23 February – 7 April, “Michelangelo Pistoletto. Scaffali”. Mantova, Palazzo Ducale, 23 March – 12 June, “Michelangelo Pistoletto. Da Cittadellarte alla Civiltà dell’arte”. Cat., texts: Peter Assmann, Anna Pironti, Paolo Naldini, Fortunato D’Amico, Marco Farano. Baku, Yarat Contemporary Art Space, 1 April – 10 June, “Michelangelo Pistoletto. Do It”. 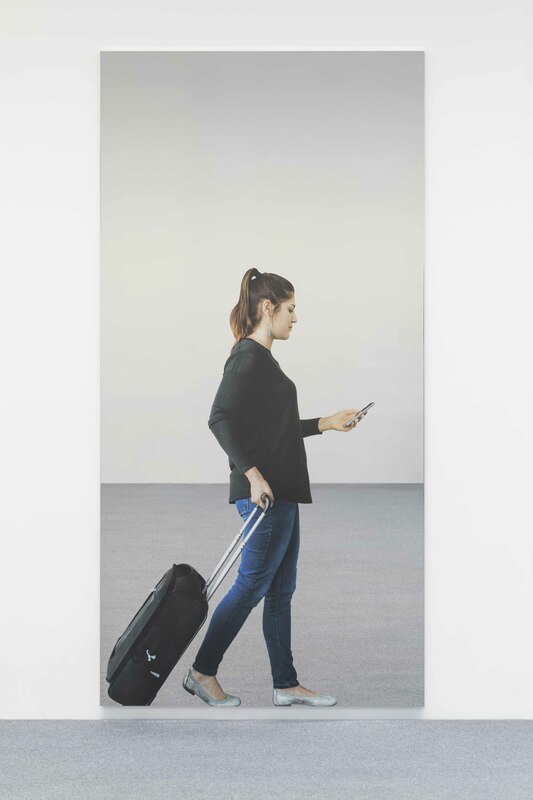 Hong Kong, Tang Contemporary Art, 10 May – 16 June, “Michelangelo Pistoletto. Respect”. Pisa, Palazzo Gambacorti and Chiesa di Santa Maria della Spina, 27 May – 2 September, “Michelangelo Pistoletto – Il Tempo del Giudizio”. Berlin, Istituto Italiano di Cultura / Italian Embassy, 2 June – 29 September , “Michelangelo Pistoletto. Riverberi e rispecchiamenti”. Cat. Beijng, Galleria Continua, 23 June – 11 November, “Michelangelo Pistoletto. Oltre lo specchio”. London, Mazzoleni, 27 September – 15 December, ” Michelangelo Pistoletto. Origins and Consequences”. Cat. Torino, Giorgio Persano, 18 October 2018 – 26 January 2019, “Michelangelo Pistoletto. Comunicazione. Le porte di Cittadellarte”. Cat. Santiago, MAC – Museo de Arte Contemporaneo Parque Forestal, 27 October – 2 December, “Michelangelo Pistoletto. Ogni punto è il centro dell’universo, ogni persona è il centro della società”. Verona, Arena di Verona, 31 January – 28 February, “Michelangelo Pistoletto. Terzo Paradiso”. Honolulu, Ravizza Brownfield Gallery, 6 March – 31 May, “Michelangelo Pistoletto”. Cat., text by Marco Meneguzzo. Pompei, 14 March – 30 July, “Michelangelo Pistoletto. Pompeiis’s Re-birth”. 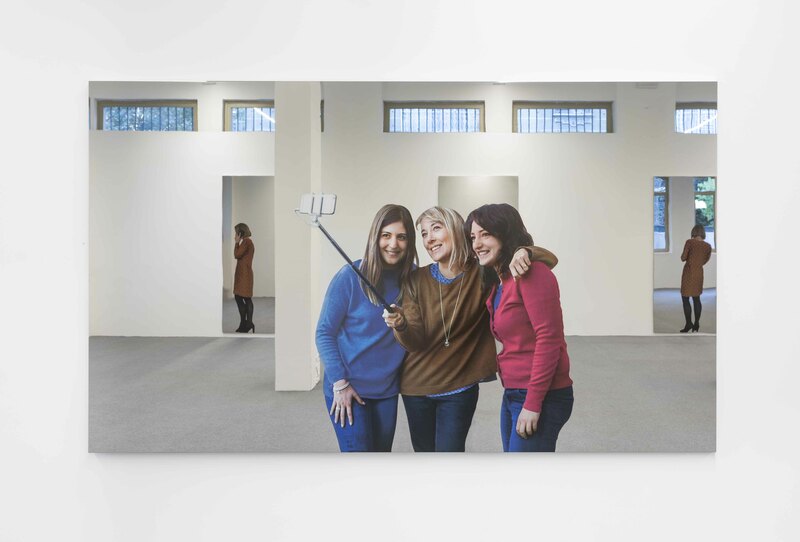 Milano, Fieramilanocity, 31 March – 2 April, “Pistoletto. Una collezione di 72 libri d’artista, cataloghi di mostre, fotografie, inviti, multipli e posters”. Cat. Venezia, Abbazia di San Giorgio Maggiore, 10 May – 26 November, “Michelangelo Pistoletto. One and One makes Three”. Cat. Milano, Galleria Christian Stein, 25 May – 21 October, “Pistoletto”. Instanbul, Galeri Artist, 12 September – 1 December, “Michelangelo Pistoletto. Selected Works”. Pistoia, Galleria Vannucci, 30 September – 13 November,“Michelangelo Pistoletto, Presente”. Cat. 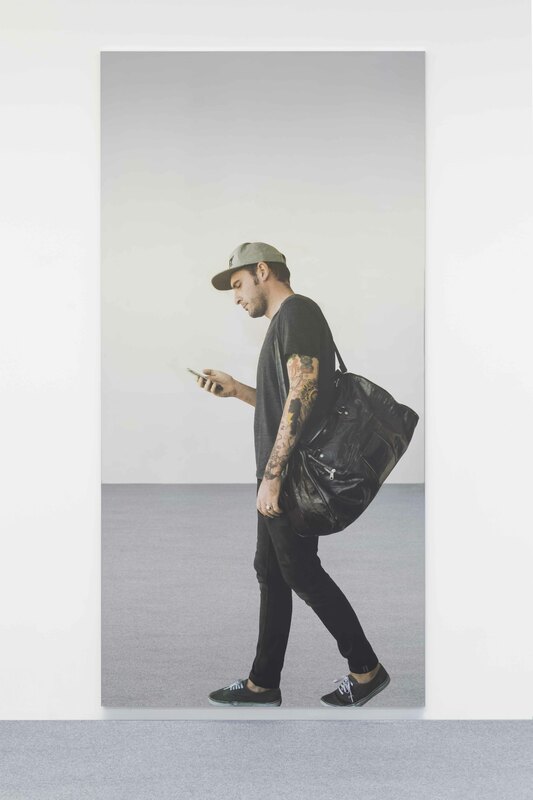 New York, Luhring Augustine, 4 November – 22 December, “Michelangelo Pistoletto. Scaffali”. Formello, Oratorio della Natività, 14 February – 30 April, “Michelangelo Pistoletto. La venere degli stracci”. Dubai, Leila Heller Gallery, 14 March – 25 April, “Michelangelo Pistoletto”. Roma, Terme di Caracalla, 23 May – 23 Jun, “Michelangelo Pistoletto. La Mela Reintegrata”. Cat., Teexts: Achille Bonito Oliva. Palazzolo sull’Oglio, Palazzo Comunale, Biblioteca Civica, Azienda Contadi Castaldi, 11 June – 10 July, “Il Mediterraneo a Palazzolo e in Franciacorta”. Brighton, Fabrica, 9 July – 29 August, “The Third Paradise: The Labyrinth and the Well”. Ravello, Villa Rufolo, 16 July – 30 September, “Terzo Paradiso a Ravello”. Woodstock, Blenheim Palace, 14 September – 31 December 2016, “Michelangelo Pistoletto”. Cat., texts by Germano Celant, Nicholas Cullinan, Michael Fram. Aalborg, Nordjyllands Kunstmuseum, 16 September 2016 – 31 December 2017, “Michelangelo Pistoletto: Eleven Less One”. Milano, UniCredit Pavilion, 21 – 26 September, “Terzo Paradiso per la sostenibilità della moda italiana”. Lampedusa, Aeroporto di Lampedusa, 30 September – 2 October, “Michelangelo Pistoletto – A/R La Venere degli Stracci a Lampedusa”. Bergamo, GAMeC, 7 October 2016 – 8 January 2017, “Michelangelo Pistoletto: Immagini in più, oggetti in meno, un paradiso ancora”. Cat., texts by Giacinto Di Pietrantonio, Michelangelo Pistoletto and others. Paris, VHN Gallery, 20 October – 23 December, “Michelangelo Pistoletto. Respect. Art, Education and Politics”. La Habana, Museo Nacional de Bellas Artes, 25 November 2016 – 13 marzo 2017, “Michelangelo Pistoletto”. Cat., texts: Jorge Fernández and Niurka Fanego. Hong Kong, Simon Lee Gallery, 12 March – 25 April, “Michelangelo Pistoletto. Partitura in nero”. Monaco, Barclays Bank, 22 April – 1 June, “Michelangelo Pistoletto”. Cat. San Gimignano, Galleria Continua, 2 May – 5 September, “Michelangelo Pistoletto. Prima dello Specchio”. Cat., text: Carlo Falciani. Milano, Piazza Duomo, 3 – 20 May, “Terzo Paradiso – La mela reintegrata”. Brescia, Museo di Santa Giulia, Palazzo Martinengo alle Palle, Parco dell’Acqua, Istituti Scolastici V. Chizzolini, F. Lana, San Polo 1, 8 May – 31 October, “Il Terzo Paradiso – Coltivare la città”. Kotor, Saint Paul’s church, 5 June – 10 July, “Michelangelo Pistoletto. Love Difference. Un’opera per riflettere”. Cat. Text by Ludovico Pratesi. Gallipoli, Castello di Gallipoli, 5 June – 27 September, “Michelangelo Pistoletto e Cittadellarte”. Cat., texts: Manuela Gandini. Milano, Showroom Elica, 18 – 27 June, “Breathe Difference. Aria Nuova dal Terzo Paradiso: Michelangelo Pistoletto & Love difference”. Pontinia, MAP – Museo Agro Pontino, 26 June – 30 September, “La Venere degli stracci di Michelangelo Pistoletto”. New York, Vivian Horan Fine Art, 23 September – 20 November, “Contemplating Illusion: Mirror Paintings by Michelangelo Pistoletto”. Fiume, Građanska Galerija Kortil, 28 September – 18 October, “Michelangelo Pistoletto / Moio&Sivelli – Coast to Coast”. Roma, Mucciaccia Arte Moderna e Contemporanea, 5 November 2015 – 7 January 2016, “Ritratti al Tavolo del Terzo Paradiso”. Cat., texts: Achille Bonito Oliva and Michelangelo Pistoletto. Biella, Macist Museum, 7 November – 20 December, “Michelangelo Pistoletto. Opere storiche dal 1959”. Barcelona, Blueproject Foundation, 13 November 2015 – 27 March 2016, “Michelangelo Pistoletto”. Ancona, Galleria Gino Monti Arte Contemporanea, 21 November – 18 December, “Michelangelo Pistoletto. Capricci”. Firenze, Mercato Centrale Firenze, 8 December 2015 – June 2016, “Terzo Paradiso” (Michelangelo Pistoletto and Juan Sandoval). 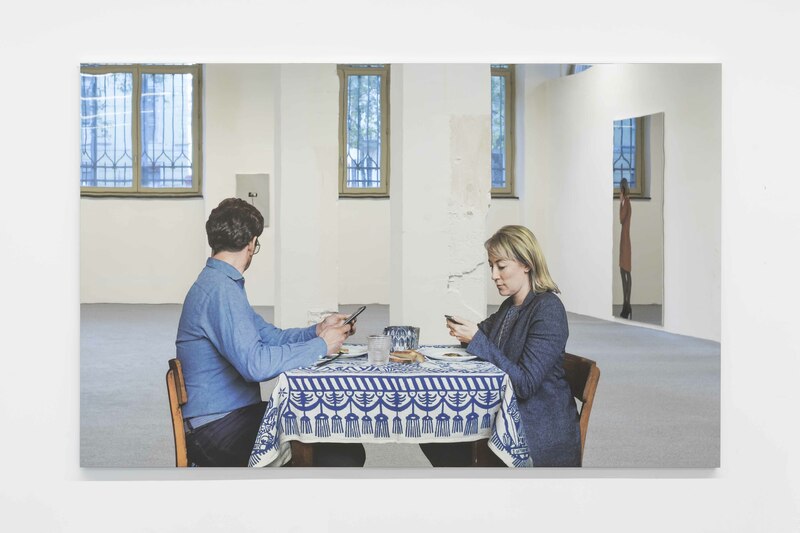 Chicago, Alan Koppel Gallery, 15 December 2015 – 15 February 2016, “Michelangelo Pistoletto. Mirror Paintings”. Lisboa, BES Arte e Fincança, 30 January – 15 April, “Amar as diferenças – Love Difference” (Michelangelo Pistoletto and Marco Martins). Milano, Museo Pecci, 4 March – 5 April, “Vito Acconci – Michelangelo Pistoletto allo specchio”. Genève, Palais des Nation , 21 March – 15 April, “Il Terzo Paradiso”. Thetis, 6 June – 27 September 2014; Torino, Giardini Venaria Reale, 30 May – 2 June 2014, “Terzo Paradiso. Coltivare la città”. Cat., texts: Michelangelo Pistoletto, Fortunato D’Amico, Paolo Naldini,Tiziana Monterisi, Gisella Borioli. Arles, Chapelle Saint-Martin du Méjan, 8 July – 26 October, “Le Troisième Paradis”. Bruxelles, Council of the European Union, 22 July – 30 December, “Il Terzo Paradiso”. Elefsina, Elaiourgio, 30 August – 5 October, “Michelangelo Pistoletto. Third Paradise”. 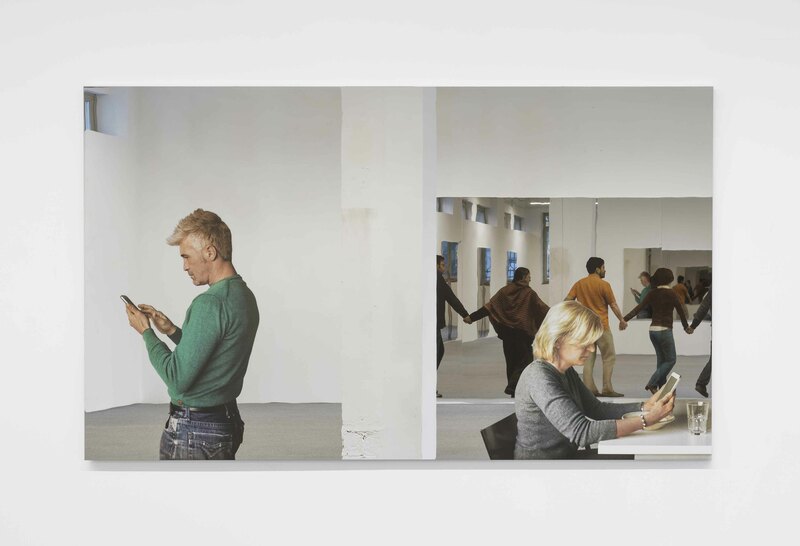 Copenhagen, Andersen’s Contemporary, 14 October – 13 December, “Michelangelo Pistoletto”. Torino, Galleria Biasutti & Biasutti, 16 October – 20 December, “Opere di Michelangelo Pistoletto. Quadri specchianti”. Cat., texts: Francesco Poli, Piero Gilardi, Giuseppe Biasutti. 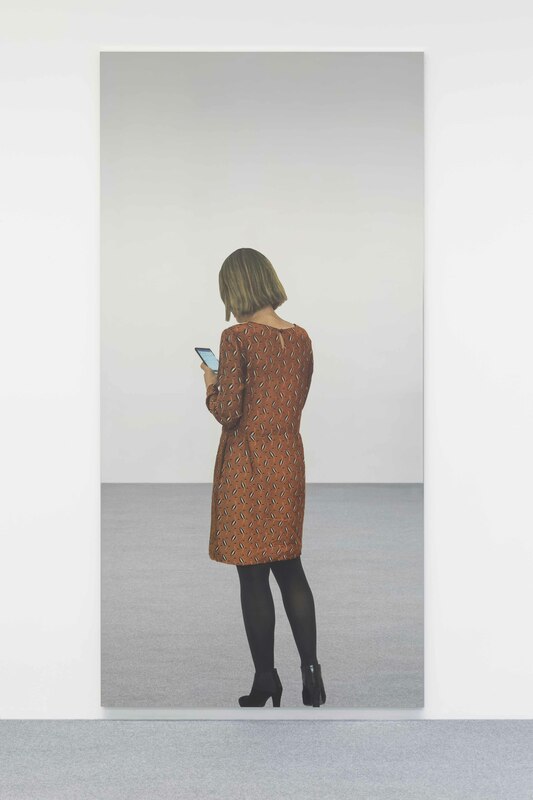 Paris, Galerie Aveline Jean-Marie Rossi, 19 October 2014 – 11 January 2015, “Michelangelo Pistoletto. Réflexions”. Cat. Beirut, Beirut Exhibition Center, 11 November 2014 – 11 January 2015, “Michelangelo Pistoletto”. Cat., texts: Michelangelo Pistoletto, Gregory Buchajkian. München, Galerie Tanit, 24 January – 30 March, “Michelangelo Pistoletto. A selection of works from our shows 1982-2002”. London, Luxembourg & Dayan, 12 February – 12 April, “Pistoletto politico”. Cat., text: Robert Lumley. Paris, Louvre, 25 April – 2 September, “Michelangelo Pistoletto – Annee 1, le Paradis sur Terre”. Cat., texts: Henri Loyrette, Bernard Blistene, Marie-Laure Bernadac, Marcella Lista, Paolo Naldini, Nicola Setari, Pauline Guelaud, Aurelie Tiffreau, Marco Farano. Milano, Studio Guastalla, 21 May- 5 October, “Riflettiamoci. Opere di Michelangelo Pistoletto”. Cat. Paris, Balice Hertling and Nilufar Gallery, 21 June – 3 August, “Aimer les differences”. Arles, Ateliers SNCF, 2 July – 31 December, “Michelangelo Pistoletto”. San Gimignano, Galleria Continua, 21 September 2013 – 7 January 2014, “Michelangelo Pistoletto”. Lugano, Galleria De Primi Fine Art, 25 October – 23 December, “Lo specchio degli enigmi”. Cat. Boissy-le-Châtel, Galleria Continua / Le Moulin, 26 October – 22 December, “Michelangelo Pistoletto. 100 Mostre nel mese di ottobre, 1976”. Paris, Mairie du 4e, 6 December 2013 – 10 January 2014, “Aimer les différences”. 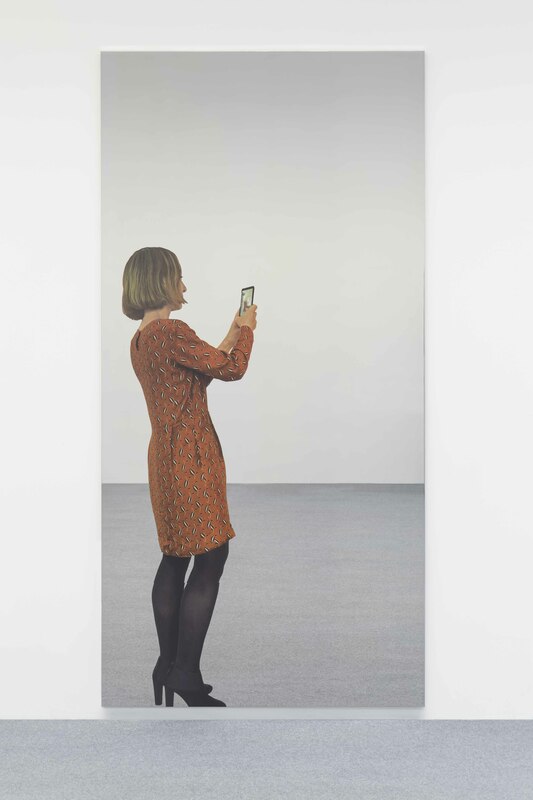 New York, Luhring Augustine Bushwick, 18 December 2013 – 3 May 2014, “Michelangelo Pistoletto. The Minus Object 1965 – 1966”. Cat., text by Anthony George White; interviews by Carlos Basualdo and Germano Celant with Michelangelo Pistoletto. Roma, Edicola Notte, 21 December 2013 – February 2014, “Terzo Paradiso – Terzo Occhio”. La Punt-Chamues-ch, CONtemporarySULER, 21 December 2013 – 30 March 2014, “Michelangelo Pistoletto & Pascale Marthine Tayou”. 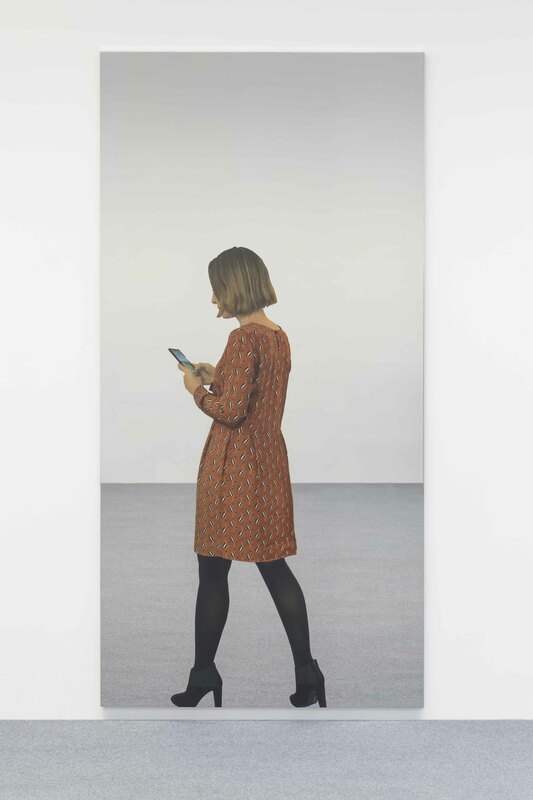 New York, Luhring Augustine, 22 March – 28 April, “Michelangelo Pistoletto. Lavoro”. Lissone, Museo d’Arte Contemporanea di Lissone, 24 March – 27 May, “Michelangelo Pistoletto. Cittadellarte Design”. Madrid, Galeria Elvira Gonzalez, 11 April – 18 May, “Michelangelo Pistoletto”. Alessandria, LVS Architecture/Art, 5 May – 9 June, “Michelangelo Pistoletto. Frattali”. Busan, Gallery 604, 23 May – 30 June, “Michelangelo Pistoletto. Partitura in nero”. Cat., texts: Lóránd Hegyi, Shigeo Chiba. Graz, Universalmuseum Joanneum – Neue Galerie Graz, 1 June – 7 October, “Michelangelo Pistoletto. Spiegel- und Minusobjekte”. Cat. Civitanova Marche, Per Mari e Monti Arte Contemporanea, 1 October – 15 November, “Michelangelo Pistoletto. Frattali”. Genova, Palazzo della Meridiana, 9 – 22 October, “Love Difference: Amare le differenze”, (In the within of 52th Salone Nautico). Museu da Crise, Matteo Polettini, Lisa Wengler, Paulo Cuhna e Silva, Idalina Conde, Seamus McGuinnes, Orla McGuinnes, Artway of Thinking. Milano, Christian Stein, 23 October, “Michelangelo Pistoletto. Lavoro”. Roma, RAM – Radio Arte Mobile, 28 October – 21 December, “Promemoria II. Michelangelo Pistoletto. Arte dello Squallore, 1985-1986”. Roma, Terme di Caracalla, 28 October 2012 – 6 January 2013, “Caracalla Paradiso Contemporaneo”. Cat., texts: Achille Bonito Oliva, Salvatore Settis, Marco Farano. Bruxelles, BOZAR – Palais des Beaux-Arts, 21 December 2012 – 25 January 2013, “Michelangelo Pistoletto. Lieu de recueillement multiconfessionnel et laïque”. Milano, Dream Factory, 6 – 10 April, “Notte Love Difference. Michelangelo Pistoletto – Diego Paccagnella & Gudran Art and Development”. Cat., text by Caterina Corni. London, Serpentine Gallery, 12 July – 17 September, “Michelangelo Pistoletto. The Mirror of Judgement”. Cat., interviews to Pistoletto by J. Peyton-Jones and Hans Ulrich Obrist and by G. Celant. London, Simon Lee Gallery, 14 September – 29 October, “Michelangelo Pistoletto”. 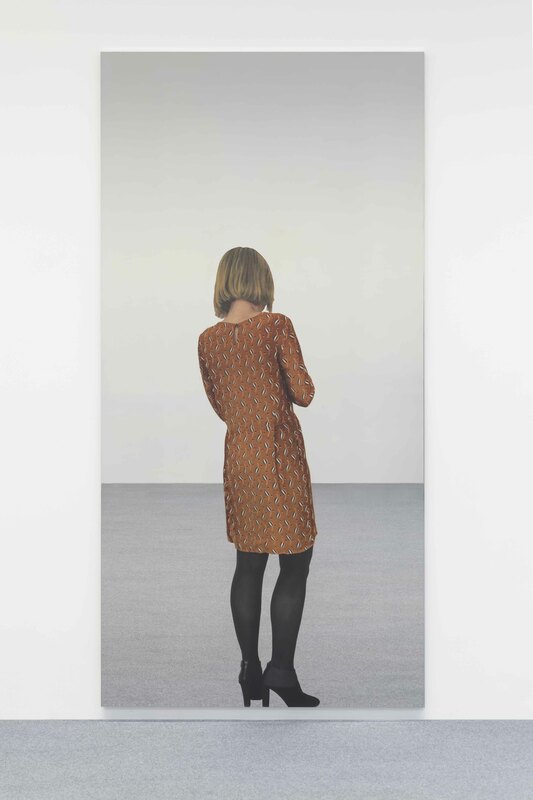 Milano, Galleria Christian Stein, 9 March – 9 June, “Pistoletto. My Art in My Art”. Wien, Galerie Mezzanin, 24 March – 30 April, “Michelangelo Pistoletto. Mirror Paintings”. Milano, Appartamento Lago, 16 April, “Diego Paccagnella – Michelangelo Pistoletto. Calcetto Love Difference”. Salemi, Castello di Salemi, 11 May – 3 July, “Michelangelo Pistoletto. Stracci d’Italia”. Roma, MACRO Future, 28 May, “Luogo multiconfessionale e laico”. Roma, Palazzo Mignanelli- Maison Valentino, 9 – 12 July, “Alta Roma Valentino”. Catanzaro, MARCA, Parco Archeologico di Scolacium, 24 July – 3 October, “Michelangelo Pistoletto. Il DNA del Terzo Paradiso”. Cat. (Electa Editore), texts: A. Fiz, M. G. Aisa, C. Bertola, P. Naldini. Venezia, Arsenale, 26 August – 21 November, “Suoni dello Spazio Architettonico”. Roma, Stadio Olimpico, 28 August, “Michelangelo Pistoletto – Love Difference. Arte e calcio per la pace nel mondo”. 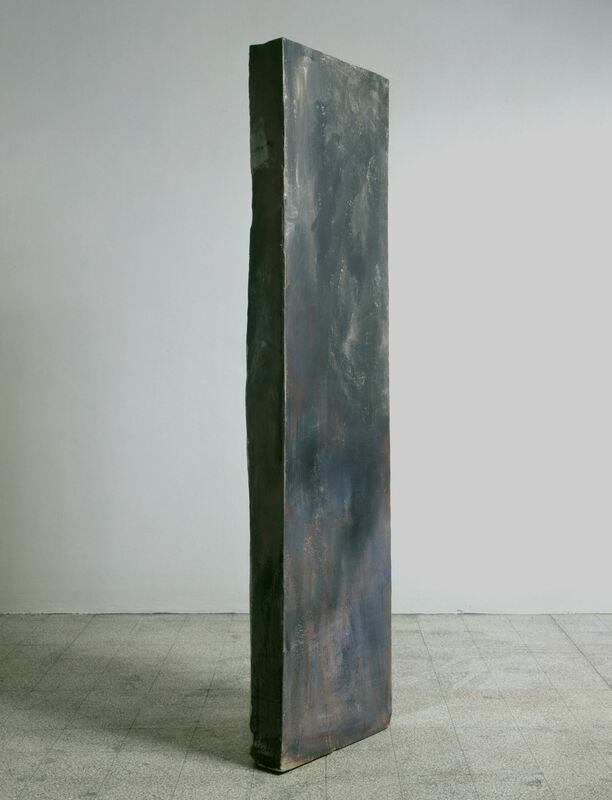 San Gimignano, Galleria Continua, 25 September – 25 October, “Buco Nero”. San Gimignano, Galleria Continua, 25 September 2010 – 27 August 2011, “Michelangelo Pistoletto – Obelisco”. Firenze, Palazzo Strozzi, 1 October 2010 – 23 January 2011, “Michelangelo Pistoletto. Grande Cubo specchiante. Luogo di riflessione e meditazione”. Trento, Cappella Vantini, 12 – 31 October, “Luogo multiconfessionale e laico”. MAXXI, 3 March 2011 – 15 August 2011, “Michelangelo Pistoletto. From One to Many. 1957-1974”. Cat., texts: C. Basualdo, J.F. 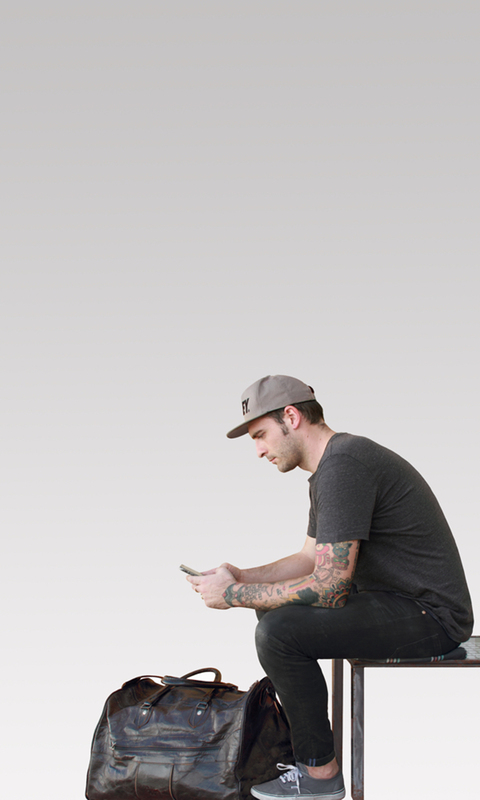 Chevrier, C. Gilman, G. Guercio, S. Penn, A. Vettese, M. Farano, L. Lonardelli, M. Pistoletto. Paris, IOA, Centquatre, 11 December 2010 – 9 January 2011, “Michelangelo Pistoletto. Twenty-Two Less Two. Le Labyrinthe”. 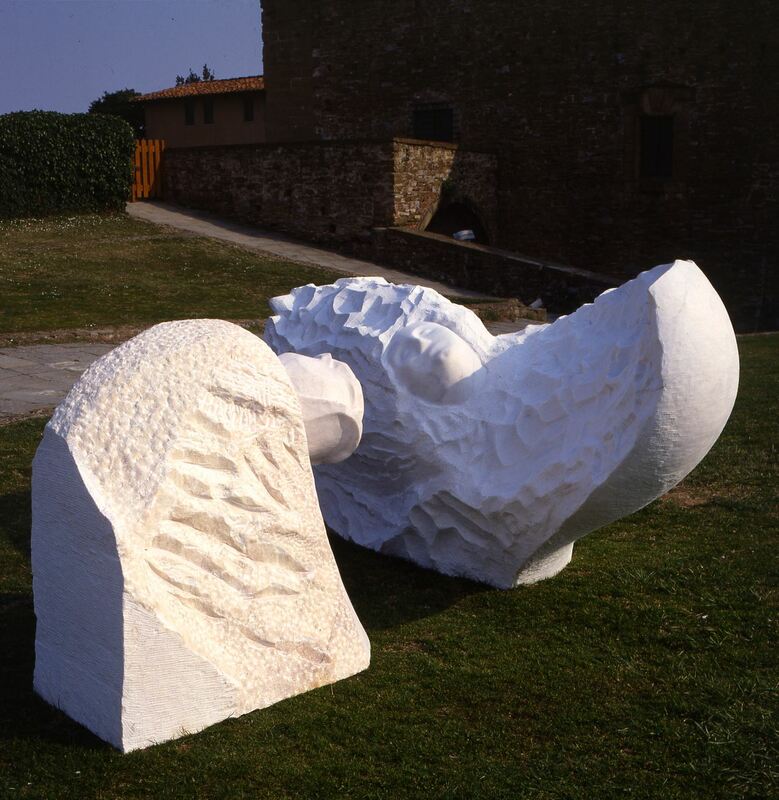 San Gimignano, Galleria Continua, 14 February – 2 May, “Il Tempo del Giudizio”. Milano, Galleria Vinciana, 3 March – 21 April, “Frattali. Opere di Michelangelo Pistoletto”. Torino, Galleria Accademia, 21 May – 11 June, “Frattali. Opere scelte di Michelangelo Pistoletto”. Cat., text: G. Zaccaria. Roma, Auditorium – Parco della musica, 28 May – 15 June, “Risonanze #3. Michelangelo Pistoletto & Giovanni Sollima”. Cat. Roma, Tempio di Adriano, 9 – 12 July; Milano, Giardini della Triennale, “I temp(l)i cambiano”. Oristano, Ex Asilo Sant’Antonio, 25 July – 16 August, “Di tanto mare. Salvatore Garau – Michelangelo Pistoletto”. Foligno, Galleria Primo Spazio, 11 September – 18 October, “Michelangelo Pistoletto – Frattali e altre tracce”. Beijing, Galleria Continua/Beijing, 19 January – 30 March, “Michelangelo Pistoletto”. Cat., text: L. Reboani. Prato, Galleria Marchese, 8 – 30 March, “Michelangelo Pistoletto. Opere 1972-2000”. Minsk, Scuola Nazionale di Bellezza, 10 April – 10 May, “Il Terzo Paradiso. Michelangelo Pistoletto e Gianna Nannini”. Cat. (edizioni RAM-Radioartemobile), texts: A. Bonito Oliva, A. Capasso, N. Cappello, I. Dukhan, L. Mikhnevich, P. Pistoletto. Milano, Loggia dei Mercanti (for Salone Ufficio 2008 – Ufficio Fabbrica Creativa), 16 – 21 April, “Michelangelo Pistoletto & Cittadellarte. Segno Arte Uffici. Luogo di riflessione e meditazione”. Torino, Galleria Giorgio Persano, 13 May – 26 July, “Pistoletto. Ettore e Michelangelo i coetanei”. Strasbourg, Apollonia european art exchanges, 30 May – 3 July, “Michelangelo Pistoletto & Love Difference. Je Est Un Autre”. Senigallia, Rotonda a mare and urban spaces, 5 – 10 June, “Trasforma. Arte e città sostenibile”. Cat., texts: Judith Wielander and Michelangelo Pistoletto. Pettinengo, Villa Piazzo, 28 June, “L’orto del Terzo Paradiso”, opening of the permanent installation. Boissy le Châtel, Galleria Continua – Le Moulin, 28 June – 5 October, “Binahayat”. Bologna, Uffici Comunali, 7 October, “Mediterraneo-Love Difference. 2002-2008”, opening of the permanent installation. Firenze, Sala delle Colonne, Fortezza da Basso, 23 – 26 October, “Michelangelo Pistoletto. Il labirinto”. New York City, Luhring Augustine, 15 November – 20 December, “Trans Border – Trans Limit – Trans Gression”. Lugano, Università Svizzera Italiana, 4 – 16 December, “Michelangelo Pistoletto – Wollen. La mela reintegrata / Spazio Libero”. Bari, Castello Svevo, 18 December 2008 – 8 March 2009, “Intramoenia extra-art: Michelangelo Pistoletto-Il Terzo Paradiso/Gianna Nannini-Mama”. Zagreb, Galleria Prsten, 7 – 28 February, “Odraziti/Riflettere”. Cat., text: Francesca Zattoni. Milano, BunKerart, 8 February – 28 April, “Suono e forma. Il Terzo paradiso”, (with Gianna Nannini). Bologna, Fabio Tiboni Arte Contemporanea, 19 April – 31 May, “Michelangelo Pistoletto – Amare – Salvagente”. Cat., text: B. Corà. Roma, Villa Massimo – Accademia Tedesca, 20 September – 26 October, “Soltanto un quadro al massimo: Michelangelo Pistoletto/Rosemarie Trockel”. Pescara, Galleria Cesare Manzo, 7 October, “Jimmie Durham, Michelangelo Pistoletto”. Moskvá, NCCA – National Centre for Contemporary Arts, 19 November – 16 December, “Terzo Paradiso. Michelangelo Pistoletto – Gianna Nannini”. Cat., texts: L. Bazhanov, A. Bonito Oliva, A. Capasso, M. Hack, A. Di Mauro, V. Misiano, G. Nannini, V. Patsuykov, E.
Petrovskaja, B. Racine, B. Yuhananov. London, Simon Lee Gallery, 22 November 2007 – 26 January 2008. La Spezia, Centro Arte Moderna e Contemporanea, 8 December 2007 – 24 March 2008, “Cittadellarte. Pistoletto e il Terzo Paradiso”. Cat. Napoli, Piazza Del Plebiscito, MADRE – Museo d’Arte Donnaregina, 22 December 2007 – 25 February 2008. Maranello, Sede Ferrari, 30 May, “Ferrari Presentation”. Cat., Pistoletto, (Artestampa Editore), texts: M. Pistoletto, L. Cordero di Montezemolo, J. Todt, M. Schumacher, N. Setari. Galliata, Gian Piero Menziani Arte Contemporanea, 7 October – 24 November, “Michelangelo Pistoletto. Multipli su acciaio e disegni”. Marseille, Galerie of Marseille, 18 November 2006 – 13 January 2007, “Michelangelo Pistoletto”. Milano, Christian Stein, 11 December 2006 – February 2007, “Pistoletto. La giuria”. Rimini, arenile, Galleria Fabjbasaglia, 17 December 2006 – 18 February 2007, “AMARE”. Catalogo – multiplo, text: B. Corà. Roma, Galleria Oredaria, 11 March – 31 May, “Azione-comunic-azione”. Cat. (Skira Editore), texts: A. Bonito Oliva. Roma, RAM-Radioartemobile, 11 March, “Michelangelo Pistoletto. Lo specchio parlante”. Matera, Fondazione SoutHeritage, 4 June – 29 July, “Michelangelo Pistoletto. Love Difference”. Pesaro, (Umberto Allemandi & C. Editore), texts: L. Ceriscioli, G. Sabbatini, G. Mariotti, B.
Cagli, P. Fabbri, A. Bonito Oliva, F. Mancini. Mantova, Galleria Corraini, 7 September – 15 October, “Alfabeti. Michelangelo Pistoletto”. Modena, Palazzo Santa Margherita, Galleria Civica d’Arte Moderna, 16 September 2005 – 8 January 2006, “Michelangelo Pistoletto e Cittadellarte. La Mensa delle Culture”. Cat. (Corraini Editore), text: A. Vettese. London, Sutton Lane, 13 January – 7 February, “Reflection Part 1: Michelangelo Pistoletto/Franz West”. Verona, Studio La Città, 14 February – 10 March, “Michelangelo Pistoletto”. Milano, Galleria Salvatore + Caroline Ala, 20 May – 17 July, “Michelangelo Pistoletto”. Pescara, Galleria Cesare Manzo, 29 May – 29 June, “Michelangelo Pistoletto”. 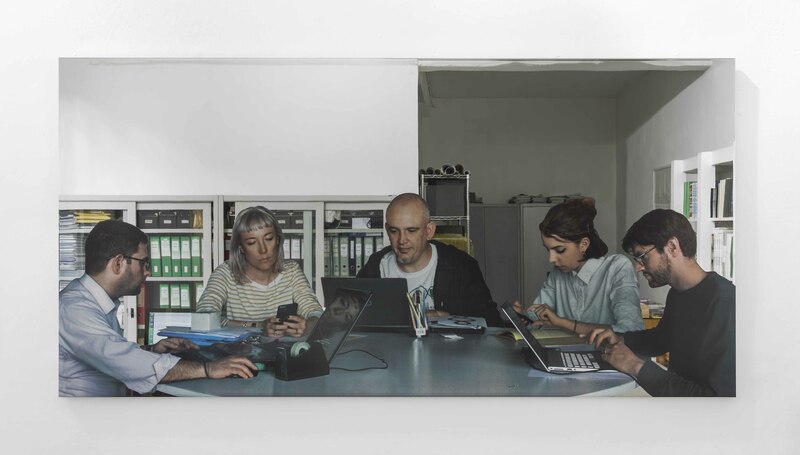 Biella, Cittadellarte-Fondazione Pistoletto, 11 June – 14 November, Arte al Centro di una Trasformazione Sociale Responsabile, “Opere di Pistoletto”. Cat., texts: M. Melotti, D. Paparoni. Tourcoing, Musée des Beaux-Art de Tourcoing, 19 June – 12 September, “Vis à Vis Opalka/Pistoletto”. Cat. (Edizioni d’Arte Pino Casagrande), texts: A. M. Nassisi, R. Opalka, M. Pistoletto. Arles, Saint-Martin-du-Mejan, 7 – 9 July, “Riflessioni”. Paris, Galerie de France, 10 September – 30 October, “Michelangelo Pistoletto”. Pieve di Cadore, Museo dell’Occhiale, 23 July – 7 September, “L’occhio è lo specchio. Opere di Michelangelo Pistoletto”. Firenze, Galleria Il Ponte, 4 October – 8 November, “Michelangelo Pistoletto. Superfici Specchianti 1962-2000”. Cat., text: C. Bertola. Sompel, P. Dyelen, Cittadellarte, Manydee. Teramo, Banca di Teramo, May, “Michelangelo Pistoletto”. A. M. Nassisi, R. Opalka, M. Pistoletto, Edizioni d’Arte Pino Casagrande, Roma 2003. Specchio”. Cat. (Ars Aevi publishing), texts: M. Pistoletto, F. Aloisi de Larderel, M. Demirović, A. Mandić, E. Hadžiomerspahić, E. R. Comi; Cat. (Ars Aevi publishing), texts: M. Pistoletto, A. Vettese, E. R. Comi, E. Hadžiomerspahić, F. Rizvanbegović, G. Facco Bonetti. Lyon, Musée d‘Art Contemporain, 8 March – 6 May, “Michelangelo Pistoletto. Continents de temps”. Cat., texts: T. Raspail, I. Bertolotti, M. Maffesoli, M. Pistoletto, M. de Brugerolle. Città di Castello, Palazzo Vitelli alla Cannoniera/Pinacoteca Comunale, Rotonda, Palazzo Comunale, Oratorio degli Angeli, Palazzo Vitelli a San’Egidio, Palazzo del Podestà, 7 April – 9 June, “Pistoletto. Codice Inverso”. Cat., texts: G. Serafini, M. Pistoletto. 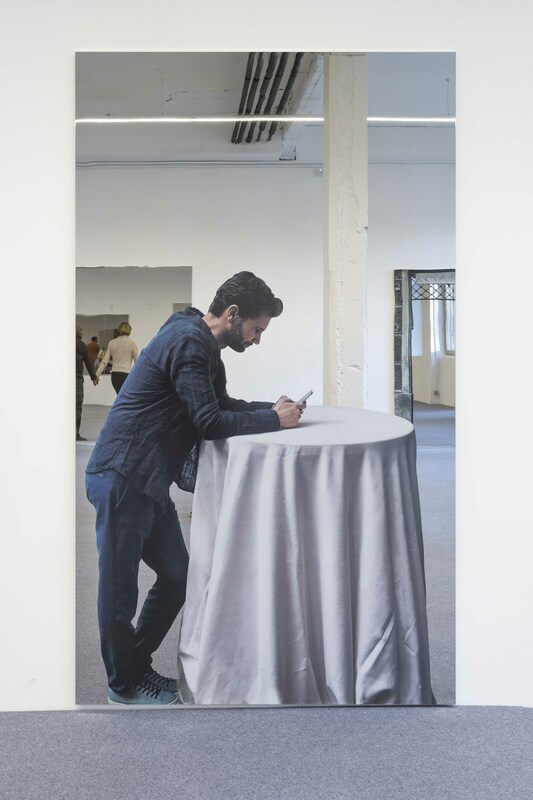 Roma, Galleria Marchetti, 24 May – 24 June, “Pistoletto”. Pesaro, Galleria Franca Mancini, 12 August – 15 September, Les rencontres rossiniennes 2001, “Michelangelo Pistoletto. Les péches de jeunesse”. Cat., texts: M. Pistoletto, B. Cagli, A. Bonito Oliva, P. Fabbri. Milano, Studio Casoli, 18 January, “Michelangelo Pistoletto”. Barcelona, MACBA- Museu d’art Contemporani de Barcelona, 27 January – 29 March, “Michelangelo Pistoletto”. Cat., texts: M. Tarantino, J. A. Ramirez, V. Goudinoux, R.
Guidieri, R. Hopper, M. Pistoletto. Marseille, Institut Paoli-Calmettes, 13 June, “Lieu de recueillement et de prière”, (permanent installation). Cat. (Edizioni Institut Paoli Calmettes, Fondation de France et Bureau des Compétences et Désirs), texts: M. Pistoletto, M. Maffesoli, A. Vettese, B. Frappat, D. Cognis, S. Pierre, P.C. Salenson, I. Dauvillier, N. Bellemin-Noël, D. Maraninchi, Jean-Paul Guetny. Pescara, Galleria Cesare Manzo, 28 September, “Frattali”. Cat., text: G. Di Pietrantonio. Siena, Castello di Ama, 30 September, “L‘albero di Ama”, (permanent installation). Cat., texts: L. Cherubini. Luzern, Neue Kunstmuseum, 14 October 2000 – 4 March 2001, “Fraktale”. Cat., text: U. Look. Torino, Palazzina della Società della Promotrice delle Belle Arti di Torino e Castello di Rivoli Museo d’Arte Contemporanea, 17 November 2000 – 8 March 2001, “Michelangelo Pistoletto, Io sono l‘altro”. Cat. (GAM Editore), texts: M. Pistoletto, A. Vettese.